I found this meme on a group thread at Goodreads.com and it is a 30 Day Book Meme/Quiz about the books I like and don't like. So with that being said, let's begin! I encourage you to comment with your response to the day's question, you can even post a link to your blog if you are participating in the Meme too! Day 1: The best book you read this year. Wow! This one is tough! I think I've read a lot of really great books this year so it's going to be hard to pick one book. So to narrow it down I am going to pick the best Young Adult book I've read this year. 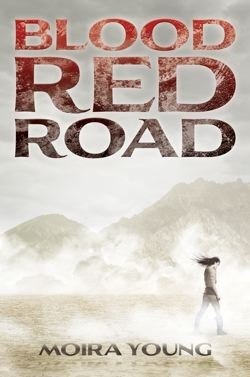 If you haven't read Blood Red Road by Moira Young then I highly encourage you to do so! It will definitely transport you to a different place!